Feb. 22 (UPI) — The president and CEO of Time’s Up, which strives for gender equality, resigned as her son faces sexual assault allegations. 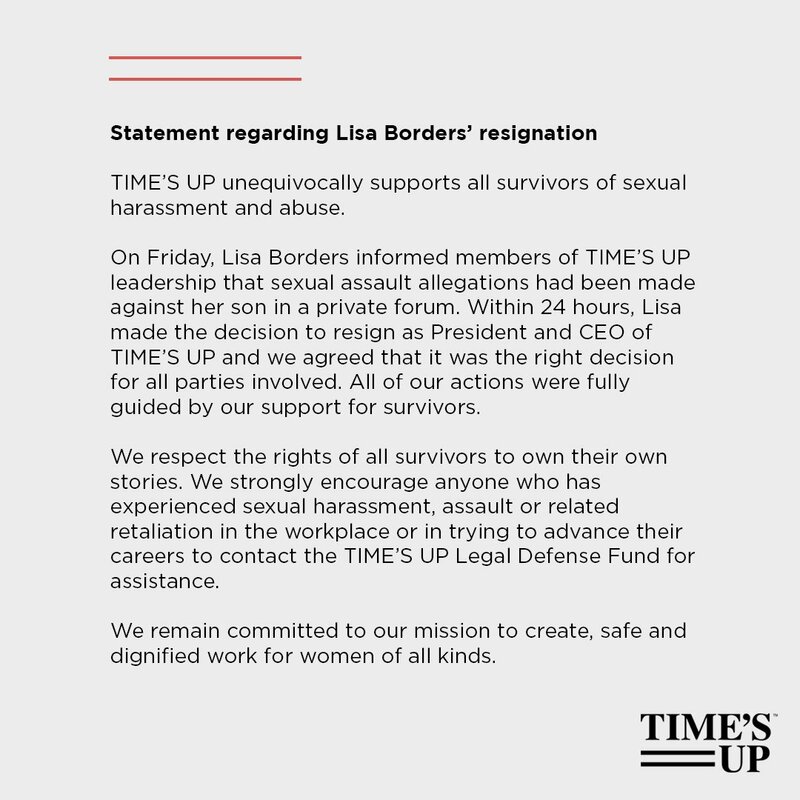 Lisa Borders said in a statement that she had to resign to address “family concerns that require my singular focus.” She said she’s proud of the work she has done for Time’s Up and hopes that continues to resonate. Her son, Garry “Dijon” Bowden Jr., was accused in a Facebook post of touching a woman inappropriately during a “healing session.” The woman told the Los Angeles Times that she felt violated because he touched her inappropriately. The revelation prompted Borders to resign from Time’s Up. Time’s Up also released a statement saying it supports survivors of sexual harassment and abuse.